Imogen's Typewriter. : NutriCentre Closing Down Sale Haul! NutriCentre Closing Down Sale Haul! 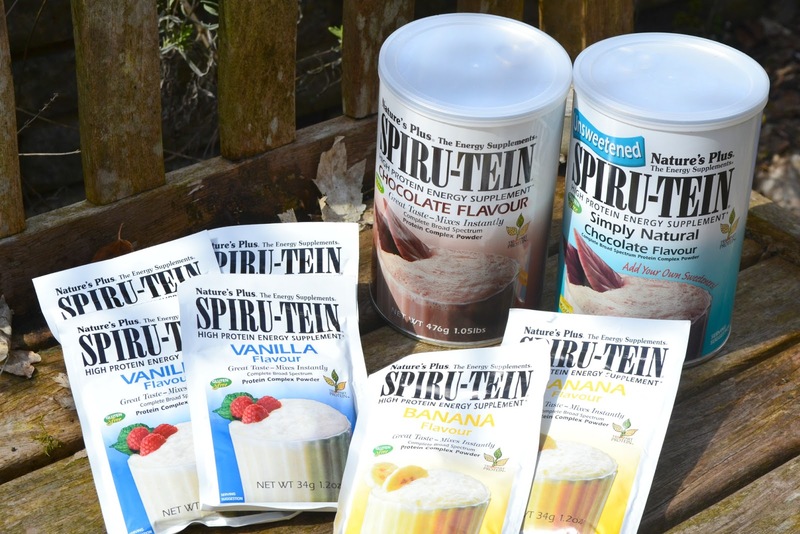 I stocked up on my favourite protein, Spiru-tein. It's a bit of a myth that vegetarians don't get enough protein but while tracking my macros I did notice I was a bit low some days. A quick shake balances everything out and they taste so good. It's basically like having a milkshake. I also thought I'd try out some new things while I was there. The Amazing Meal's are packed full of protein and super greens and taste pretty nice. I'm not a cook so this is a nice alternative for when I need a light lunch but can't be bothered. 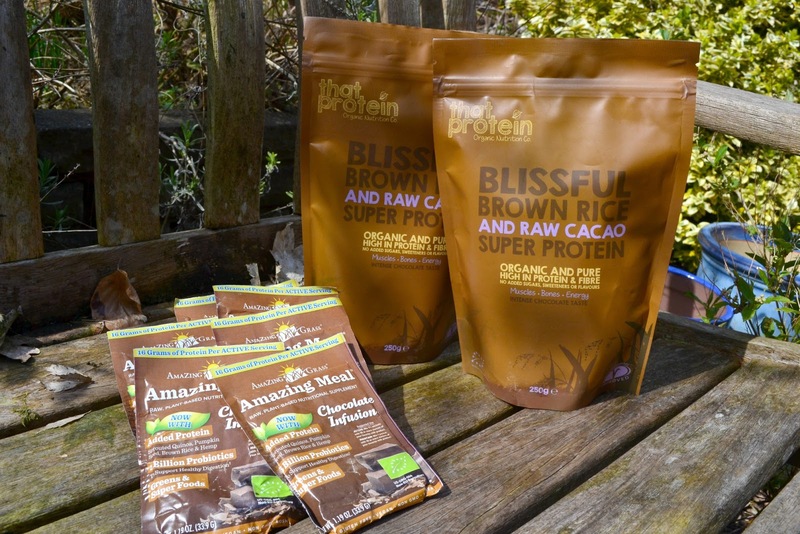 And anyone who knows me, knows I'm a chocoholic so Cacao protein is always a must-buy. I can't wait to try it out, and if I'm not a fan of the taste I'll just mix it with some Spiru-tein. Super Greens! For months my personal trainer has been raving about super greens, how good they are for you and how they really boost up how you feel. So when I saw them on the shelf I knew I needed to pick some up. She was super excited that I finally got some and they do actually have an effect, even if they do taste pretty grassy. 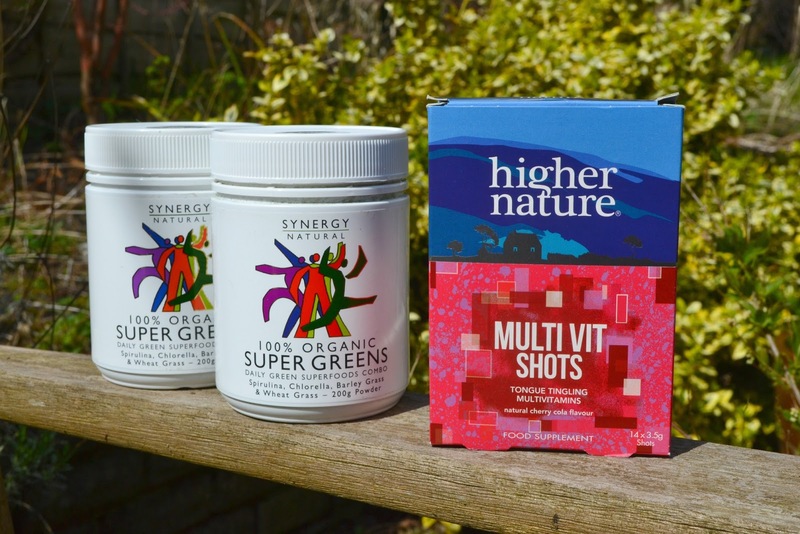 I take a lot of vitamins already and I won't show all the boring stuff I picked up but these Higher Nature Multi-Vit shots are like un-popping Pop Rocks that taste like Coca-Cola. It's weird. But pretty neat. Snacks! I'm a sucker for a sweet treat and these sugar free options had me interested. Mainly because I've been re-watching the show Rita and they have an episode where some parents are trying to ban sugar at the school because it's more addictive then heroin. Questionable logic as it's much less dangerous but TV influences most of my choices. 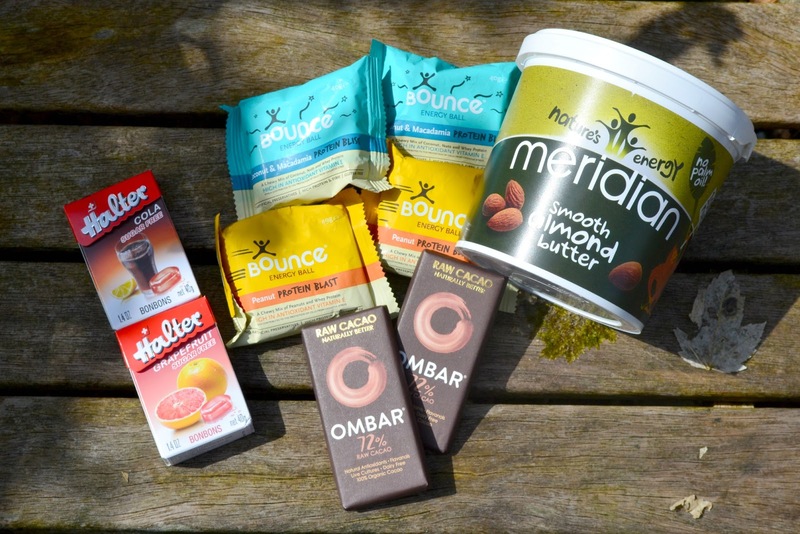 I picked up a few Bounce bars to keep handy in the car/ my handbag when I get snacky on the go. I think I'll try and find a way to make my own though. The little cacao bars were okay, but not my favourite. I just can't find myself to like dark chocolate unless it's Bournville and even then. I'm a Dairy Milk girl. And a massive tub of almond butter for smoothies, on toast, and in baking! And the beauty selection. Dr Bronner's Magic Soap is the best thing to wash make up brushes with and I like the scent of green tea! I'm not a huge fan of the scripture on the bottle but I can live with it. 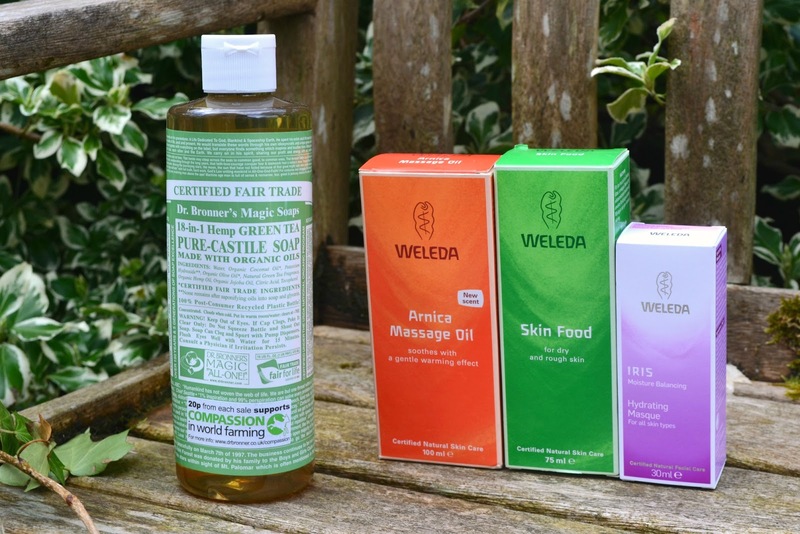 I've tried out Weleda products before and liked them so when I saw a bunch left, I picked a few things up! The Arnica Massage Oil is self-heating and perfect for sore muscles. Skin Food has been talked about loads on blogs so I wanted to try it out. And this Iris hydrating masque, found literally 20 minutes after complaining about the lack of moisturising face masks. I knew it was meant to me. And finally, oils. Tisserand is my go to for oils but the only thing they had left was this detox body massage oil. Luckily, I love a massage oil for after a tough gym session to get out some knots. And lastly, Jojoba oil. I spoke about oil cleansing a while back and find of fell off the band wagon. Sweet Almond oil just wasn't giving me the results I wanted, so I went back to shop bought cleansers and my skin is now average at best. But when I saw jojoba oil I remembered how great it was. 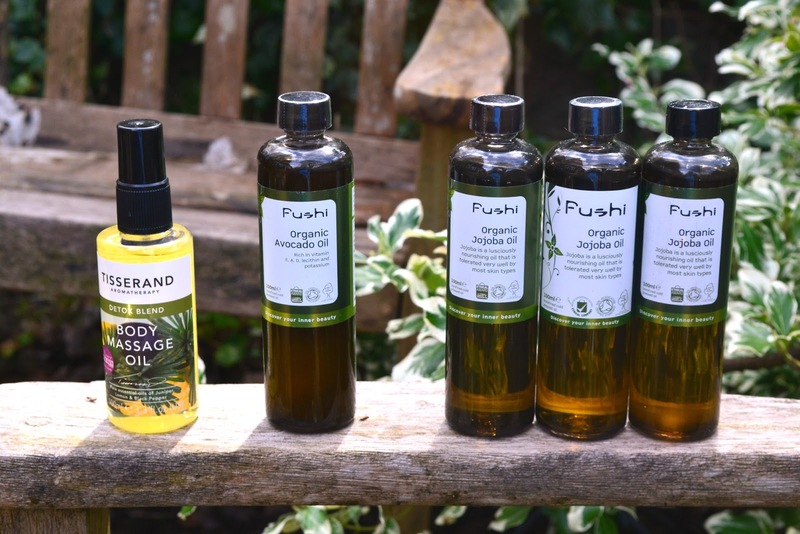 Jojoba is the closest oil to your skins natural oils! So I bought some and I'm going to start oil cleansing again. I'm also going to give a bottle to a couple pals who I think will enjoy it. What do you think of my buys? Have you said goodbye to your local Nutri-Centre? Book Review: Tenacity by J.S. Law! Book Review: HEX by Thomas Olde Heuvelt! Beauty Review: Lush's Sunflower Bubble Bar! Books I Read in.. April! Books I Took to Milan!